A compromise on the enhanced EU -wide regulatory framework worked out ahead of the EU Council decision on the framework in September 2011 gives Trichet the Chairmanship of the new European Systemic Risk Board - the new overarching body set up to oversee EU banking risk. The issue was contentious - the European Parliament wanted Trichet to take the role, while national governments wanted the board's members to decide. In the compromise, the ECB president chairs the ESRB for five years, but the matter is to be revisted in three years. 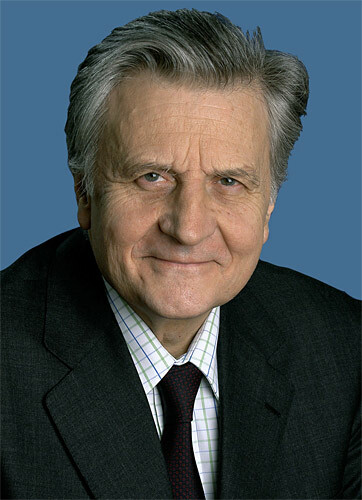 Jean-Claude Trichet is president of the European Central Bank, a position he has held since 2003. His stewardship of the euro in the initial years of his tenure was relatively trouble free - a deceptive calm for the fledgling supercurrency. Now the very future of the Eurosystem is being questioned, and he must navigate the euro credit system through the problems caused by a series of private sector and public sector credit crises in a number of member states. He certainly is influential, but perhaps he could do with being more powerful, as forces beyond his ken threaten to buffet the Eurozone.